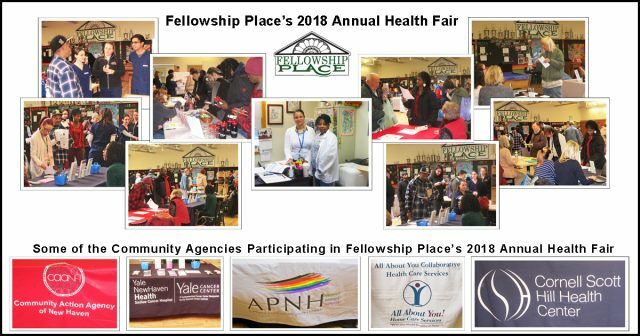 Fellowship Place clients participated in valuable health screenings and received important health & wellness information at the agency’s annual health fair. Exhibiting community agencies included Yale New Haven Hospital, Yale Cancer Center, Cornell Scott Hill Health Center, SCSU Nursing Students, and others. A special thank you to the New Haven Dept. of Health, which provided free flu shots.